Field Office is an urban campus in the City. Field Office brings a radically new kind of office workspace to Portland in a modern aesthetic, featuring unique indoor / outdoor spaces, abundant amenities, and on-site retail. The project is located in a neighborhood that mixes downtown access, commutability in an authentic neighborhood. Field Office is composed of two buildings that surround a central landscaped plaza. Additional landscaped spaces surround the buildings creating areas for building users to gather and work outdoors. 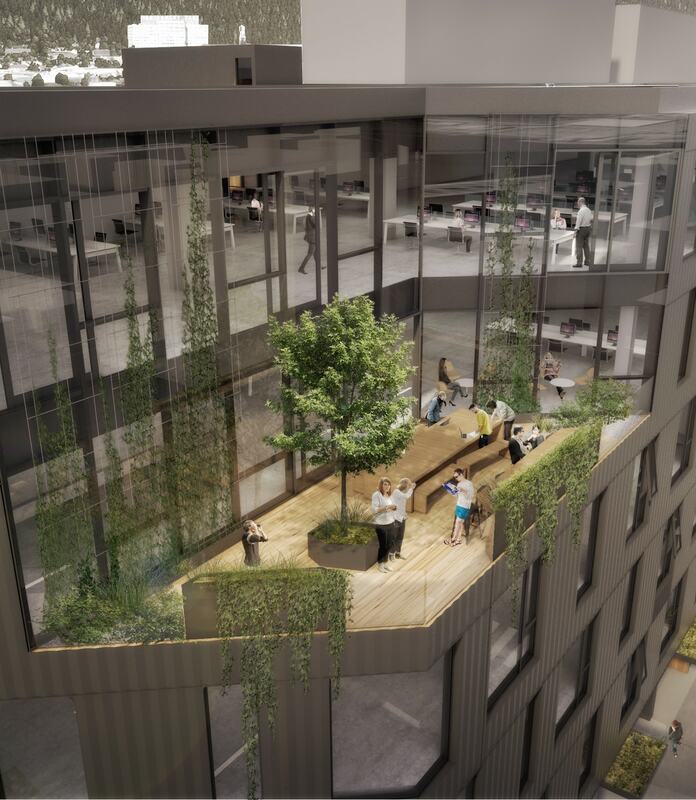 Oversized, landscaped balconies are located at the upper office levels and on the roof along with a 45kw solar array delivering the concept of sustainable landscaped workspace throughout the building.